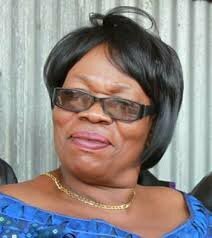 MUNALI Patriotic Front (PF) Member of Parliament Professor Nkandu Luo yesterday demanded that Chilanga UPND member of Parliament Keith Mukata should be punished for referring to Gender Minister Victoria Kalima as “Dorika” on the floor of the House. Meanwhile, there was a war of words in Parliament yesterday between Ms Kalima who is Kasenegwa PF lawmaker and Mr Mukata for who had earlier teased her by referring her to a male comedian acting as“Dorika.” The incident happened when Ms Kalima passed a running comment while Mr Mukata was on the floor of the House contributing to the debate on the Zambia Institute for Tourism and Hospitality Studies Bill. Mr Mukata was heard telling Ms Kalima “Shut up Dorika!” during his debate. His comment “Shut up Dorika!” did not go well with Ms Kalima as she immediately got incensed and started verbally hitting back at Mr Mukata. Incensed Ms Kalima, uncontrollably told off Mr Mukata that he had provoked her by referring to her as “Dorika”. Speaker of the National Assembly Patrick Matibini who attempted to quell the verbal fight between the two parliamentarians, earlier, threatened to throw both parliamentarians outside the House if they continued engaging in verbal confrontation. It only took leader of the opposition Mr Jack Mwiimbu to calm down Mr Mukata who was also throwing back words at Ms Kalima while Chipangali Member of Parliament Vincent Mwale was seen calming Ms Kalima as he went to seat next to her. But Prof Luo said women would not tolerate Mr Mukata’s comment on Ms Kalima. Concluding her maiden speech, Prof Luo said Mr Mukata needed to be disciplined for referring to Ms Kalima as “Dorika”, adding that his comment was sign of disrespect for the women folk.